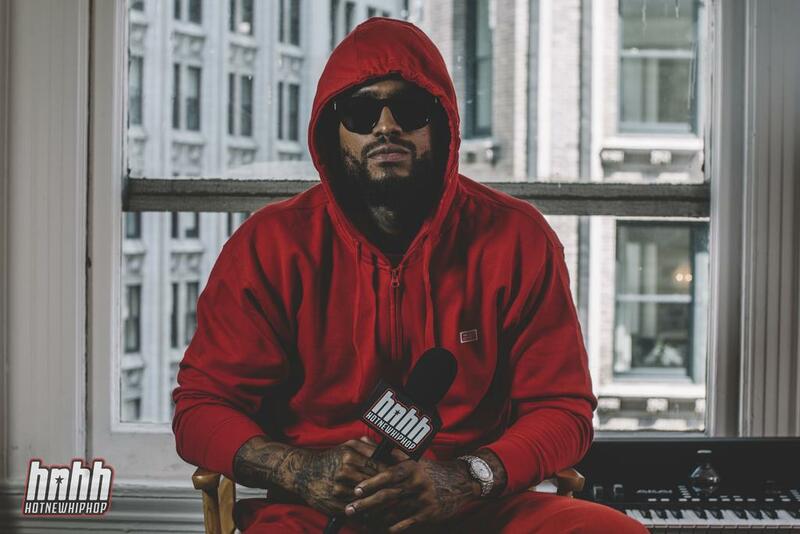 Dave East doesn’t have to remind you where he’s from. Harlem is what you hear when he talks and even more so when he raps. “This is what New York sounds like” -- one of Funk Flex’s signature DJ drops -- still holds true when it comes to a Dave East record. Two of the top 10 singles on Billboard’s Hot 100 currently belong to New York emcees. But neither French Montana’s “Unforgettable” nor Cardi B’s “Bodak Yellow” (Nos. 3 and 8 respectively) sound like New York. The city is spawning plenty of new talent, but there isn’t a prevailing sound that defines the new New York. 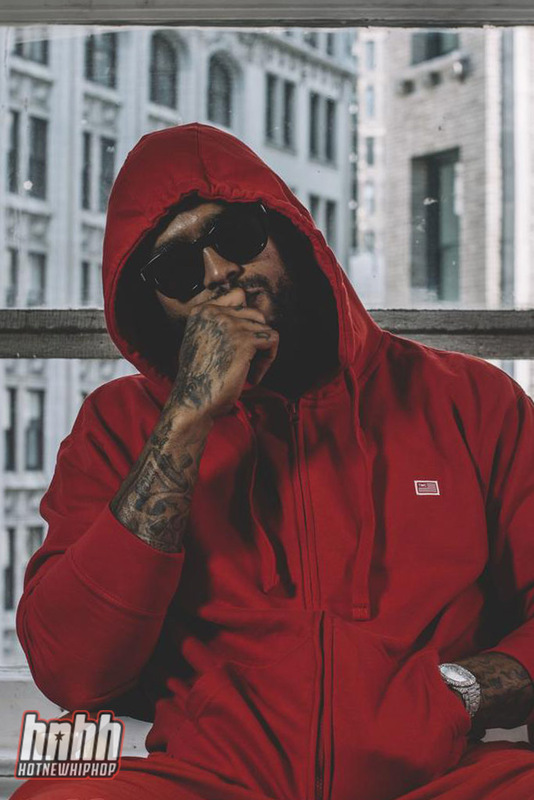 With his new Paranoia EP, his debut on Def Jam, Dave East is ready to bring a New York state of mind back into mainstream hip-hop. East got serious about rapping -- after failed hoop dreams and a six-month jail stint -- over seven years ago. He gained a local following with several workmanlike years on the mixtape circuit, but it wasn’t until 2014 that he made it into the public eye, thanks to one of his hip-hop heroes. After building a buzz in Queensbridge, East’s music fortuitously made it to the ears of Nasir Jones, who then signed him to his independent label, Mass Appeal Records. East was one of the oldest faces on last year’s XXL Freshman cover, which he shared with eccentric prodigies like Lil Uzi Vert, Lil Yachty, and Kodak Black. East differs from such new-school sensations in image -- no face tats or glowing dreads -- and also with his extracurricular profile, around which he hopes retain a serious degree of privacy. There are no ridiculous or controversial antics attached to the rap persona that is Dave East. You won’t find him shooting a staple into his head or issuing profane threats at a rap legend. He wasn’t one of the many whom Jay Z indicted with his recent “money phone” critique. He’s still a newcomer, but East has more in common with the elite veterans whose music he grew up on -- many of whom he has already managed to collaborate with. Last year was by far the busiest of East’s career, maybe of his entire life. Along with the Freshman cover, he welcomed his firstborn daughter -- for whom he named the mixtape he dropped later in the year. He announced his signing with Def Jam -- a joint venture with Mass Appeal -- immediately upon the release of Kairi Chanel, which featured Nas, Cam’Ron, Fabolous, The Game, and more. Similarly, the features on Paranoia mostly come from household names. Though East may be inspired by rap’s elder statesmen, that shouldn’t imply that Paranoia is lacking in energy compared to the turn-up tracks that dominate today’s airwaves. And though he’s humbled to be likened to his idols, that doesn’t mean he’s beholden to making New York boom-bap. “I’m paranoid about leaving a life that I became so comfortable with,” he continued. “I was so good in the hood. I was cool just going to the store, smoking on my block, and just being a regular, normal dude. Now I got everything I ever wanted basically right in my hands, but I can’t do that like I used to. You can’t turn fame off. That’s something that I’m starting to learn." “That was probably the funnest, highest session of my life,” he said of the making of “Phone Jumpin,” which was fueled by Khalifa Kush. Though he may have been above the clouds, he sounds totally dialed-in over the warped mafioso production, inspiring Wiz to bring some of his meanest raps in recent memory. On “Maneuver,” East rescues French Montana from his global pursuits, bringing the South Bronx dope boy back for a vintage Coke Boy number, furnished with a jazz-tinged, “bright lights, cold city” instrumental from Harry Fraud. Though he’ll likely keep the ad-libs and auto-tune to a minimum as he sinks his teeth into his major label career, East is still focused on the here and now, and he takes inspiration from the defining sounds of 2017. Thus he can jump on Playboi Carti’s “Magnolia” and rap, “See my uncle was a coke fanatic / Let him borrow my bike, he told my moms that I let him have it / I know the feeling losing close friends, tragic.” Though he’s willing to adapt, he won’t compromise on the New York grittiness that made him fall in love with hip-hop in the first place.